A stock photo of the Panama Metro. Credit: Maria Maarbes/Shutterstock. Authorities in Panama have shortlisted seven companies to build a monorail system, also known as Line 3 of the capital city’s metro system. In total nine companies participated in the pre-qualification process but two did not meet the requirements to take part in the international tender. Consortium Línea 3 Monorail Panamá (OHL; Andrade Gutierrez Engenharia; and Mota-Engil). The tender to build Line 3 will begin shortly, covering: design, construction of civil works, auxiliary facilities of line and stations, supply and installations of the railway system which includes rolling stock and commissioning of the system. 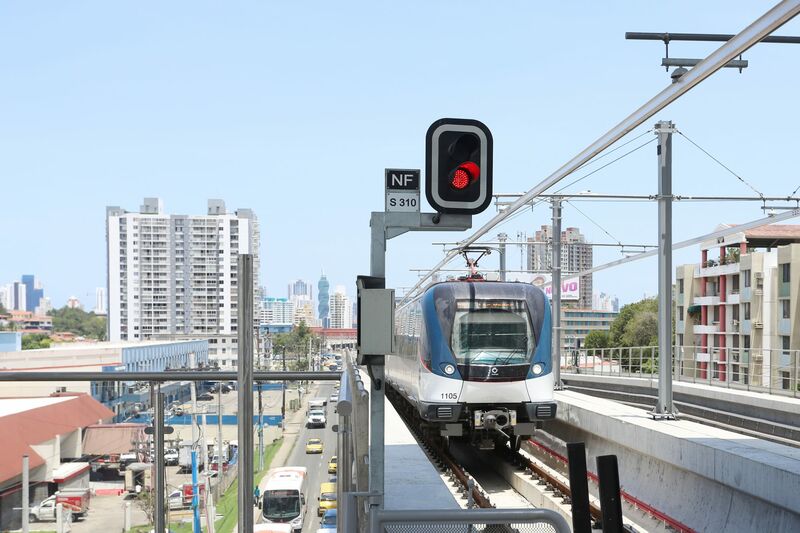 The elevated line will be 26km in length with 14 stations and connect Panama City to the west of the city. Six-wagon monorail trains will operate on the line, which will have a capacity to transport 20,000 people during peak hours per direction.